SAN DIEGO (NEWS 8) - San Diego's North County may soon be ground zero for UFO research sponsored by a millionaire rock star who grew up in Poway. The former singer for Blink-182 wants to fund research that's out of this world. 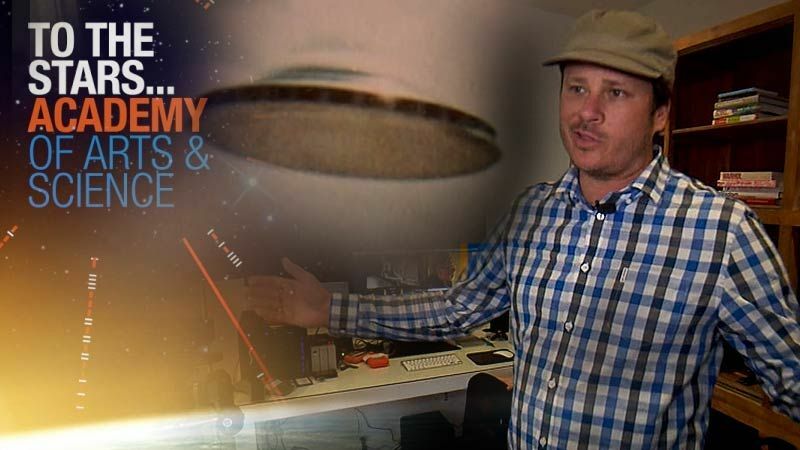 Even if you've never heard of Tom DeLonge or the skate punk band Blink-182, his message about UFOs is hard to ignore. Two years ago, DeLonge invited our Las Vegas sister station, KLAS, inside his UFO-themed To the Stars gift shop in Encinitas. The store is packed with flying saucer merchandise and books on secret machines detailing how UFOs crashed on earth during the 1940's. DeLonge said secret UFO research info was given to him by Department of Defense insiders. “We found a life form and that conversation changed my life. And I was told there were crashes,” DeLonge said in the 2016 interview. DeLonge’s newest company – To the Stars Academy of Arts and Science – has attracted so much media attention the author, director and musician is no longer doing on-camera interviews. He recently hired a team of experts from the aerospace industry and an intelligence officer who once ran a secret UFO program for the government. “It's probably the most important think I've done in my life, even if it sounds like the tin foil hat, little green men conspiracy theory,” DeLonge said. To the Stars Academy started out by releasing military videos of UFOs, which were recently declassified. One of the newly released videos was recorded in 2004 off the coast of San Diego. The Navy pilot who witnessed the flying object said in an interview with Boston’s WHDH that he has never seen anything like it. “It’s never been explained to me. It had no wings, no exhaust, no nothing,” said the ex-pilot, David Fravor. DeLonge wants to raise up to $50 million dollars from investors purchasing stock online, to eventually fund entertainment, science and aerospace divisions in his new company. He hopes to build a ship that can warp through space and time. He also wants to research brain to computer interface technology, human mind telepathy, and a laser beam that can launch satellites. DeLonge said in a recent radio interview with host Joe Rogan that he will release several UFO themed movies and TV shows this year. He also plans to launch a web site with a database cataloging all sorts of paranormal activities. “My end goal is to build a company that changes the world,” DeLonge told Rogan. As you might imagine, DeLonge's new business venture is a risky investment, as detailed in a legal document filed with the SEC. So far, he has raised $2.5 million from online investors. His twelve-month crowdfunding effort is set to end in September 2018, according to legal filings.